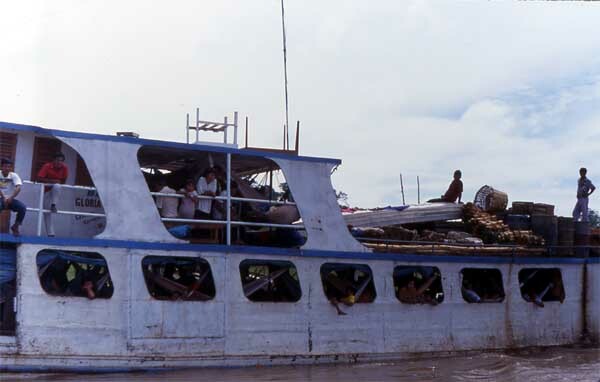 Throughout much of lowland Amazonia, water provides the main means of transportation. Rivers provide natural thoroughfares whose layout determines the location of towns and villages, and the degree of commercial activity. Mass transit is provided by mechanized river boats, while personal transport consists of paddle-propelled dugout canoes. Road transport the rule only in large cities, while air travel is restricted to the wealthy few. At the periphery of the Amazon basin, road transport is practicable and more roads are being built, despite the destructiveness of road building. 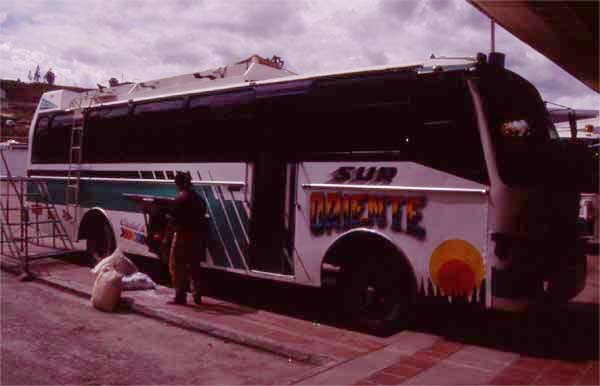 In these areas, such as the Ecuadorian Oriente (eastern Ecuador), buses are widely used by locals and tourists alike. However, the quality of the roads and the buses is below that found in most industrialized countries (but so are the fares! ).